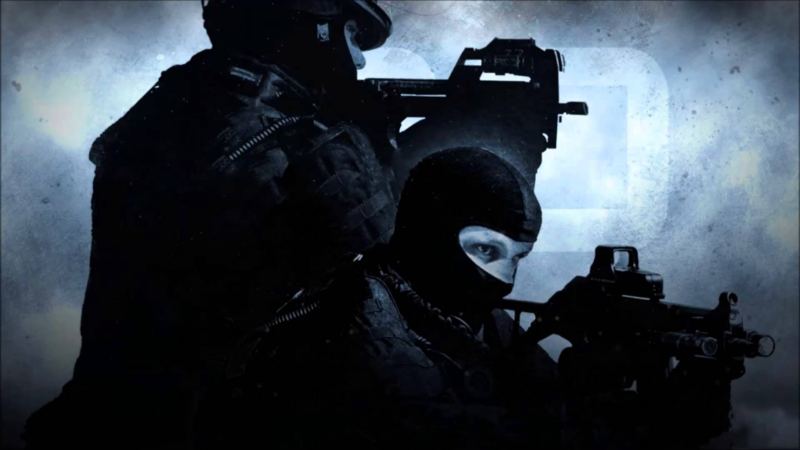 Counter-Strike exists since 1999 and new gamers enter Global Offensive servers every week. We hope this article will help all gamers to get used to Counter-Strike quickly and enjoy the competitive atmosphere right after they begin playing this wonderful game. 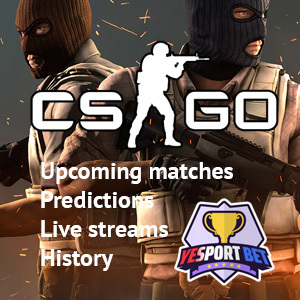 Explore CS:GO, make experiments, choose your victorious and most liked strategy. The critical thing is that you can hang out and just gain satisfaction while playing both competitive and casual game mod. Of course, experienced players have other priorities, but if you want to share your tips and game tactics, welcome! For beginners, Counter-Strike may seem a bit scary. You join other players on a server and feel like everyone else knows all hidden points and locations to hide. Other members of your team accidentally meet the bomber and die in 10 seconds while you were lost in smoke. Your HP is almost gone and 5 enemies approach your position. Finally, you get blown by the bomb without even understanding this fact. The end. The very first tip is next: don’t worry about things happening in a casual mode. That is why they call it casual: people play not to win here. I am 100% sure other players will be indifferent about you playing for fun or seriously. You are here to learn, a casual mode is the best one for that. So, relax. You can burn yourself with Molotov if you want, it doesn’t matter here. First skills you have to learn in Counter-Strike are directly connected with each other but they are also quite complicated if you hadn’t played CS earlier. The simplest one: stand still while shooting and be careful. Here you can’t just run forward while carrying weapons unlike in Call of Duty. After you gain some experience and improvement, attack bravely, shoot and attack again. With time, you’ll do that faster and faster. Soon, you’ll be able to outplay many experienced players. An important moment: recoil influences the movement of your bullets. 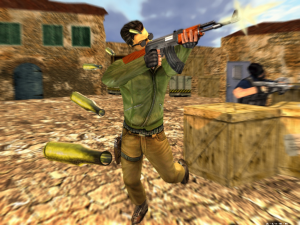 Beginner players can practice burst fire weapon tactics: burst shooting with several bullets to keep low recoil level. “Spray” is the opposite thing when you hold the trigger down and shoot multiple bullets non-stop. Spraying is usually used for assault rifles or close quarter weapons. When you spray, you need to compensate the recoil and to move your sight down. There is no need to reload after shooting some bullets. Make sure you are ready to suddenly meet enemies. Find a safe place to reload your mag, do not do that at a random moment. Another important thing is that every weapon has its shooting techniques. It is critical to know about that because your bullets will fly wherever they want after some shots and you won’t be able to hit your target. The skill of a reversal mouse control to deny recoil is the most complicated one in CS. It sounds difficult because it IS difficult! And one more thing: choose the direction precisely. If you shoot to the right when an enemy can appear from the left, your chances to get killed increase significantly. After gaining some shooting skill, it is time to improve your gameplay once more: to learn how to place your sight well. Be advised, this thing requires a player to know the map at least a little, so play a certain map a couple times before. There are many good videos about this topic on YouTube. Pros usually give great tips and techniques for newbies like that. It is especially cool to understand what to do in the situation when the same player takes the same point in every single round and goes on outplaying your team no matter what they try to do. I say again, the knowledge of map and gameplay is required here but it is not too complicated. When I was a beginning CS:GO player, I’d been scared a bit. I just held Shift and walked being afraid to get shot before I reveal someone’s position. I was always afraid to play badly for my team and felt terrible due to that. If you play the same way, stop that. Staying unnoted is a real art requiring quite big experience. I still don’t feel as a pro. The best thing I can recommend: shoot beforehand. Be aggressive when nobody expects you to attack. Try all strategies till you find exactly that one. Get used to the need of analyzing your opponents and playing the way they don’t think you to play. Be braver. And the most important thing here: do not rush. Map control is very, very important in CS, and if you have your playstyle, you have many different possibilities to control the territory. Talking about strategies, try using grenades after you are sure in your map knowledge and ways your opponents attack and defend points. Many videos can be found on this topic, too. Spend some minutes for them and your game will become much simpler. Wallbanging is what you will explore soon while learning the map. Some surfaces can easily be penetrated by bullets, some can’t. Shoot walls when you know someone stands behind them and even when nobody does. You never know for sure what will be hit by your bullet. New players don’t find economies important in CS at once. It is easy to manage if you have good relations with teammates. But still, there are things you need to know obligatory. In a competitive mode you need to buy Kevlar. It costs $1000 (vest and helmet). M4 and AK-47 are two standard weapons you can choose in CS. They both are powerful enough and universal weapons. You can gain advantage in the beginning of the game and buy them the next round if having enough finances. AK can kill an enemy with the helmet by one headshot unlike M4. This weapon needs 2 hits to kill the helmeted enemy. Know about “eco rounds” as well. There are enough nuances about them, but the common rule says: don’t buy anything if you’ve got less that $4000. If the team has more than that, there is the way to buy a full set including weapons and grenades. The key moment here is communication: look for other players offering “eco” or go in for it on your own when you don’t have enough money. During the “eco round” your main goal is to plant the bomb and to kill as many enemies as possible. Remember, your money is money of your team. You can try buying something only if there are enough funds for the complete and useful set of gear. Pistols are very interesting weapons and you should not underestimate them. CZ-75, P250, and Five-Seven are really cool. Starting arms like Glock and USP are excellent instruments of close quarter combats, too. If you aren’t sure about your pistol aiming, you can always buy a $650 vest and go shooting. If your pistol round was successful, there is a chance to buy an SMG. It works great against unarmored targets. An SMG will help you earn cash and guarantee some frags. I noticed beginners to buy them all the time. The disadvantage of all SMGs is that it is weird against players with armor and is not as effective as any assault rifle. Still, it is helpful, trust me. 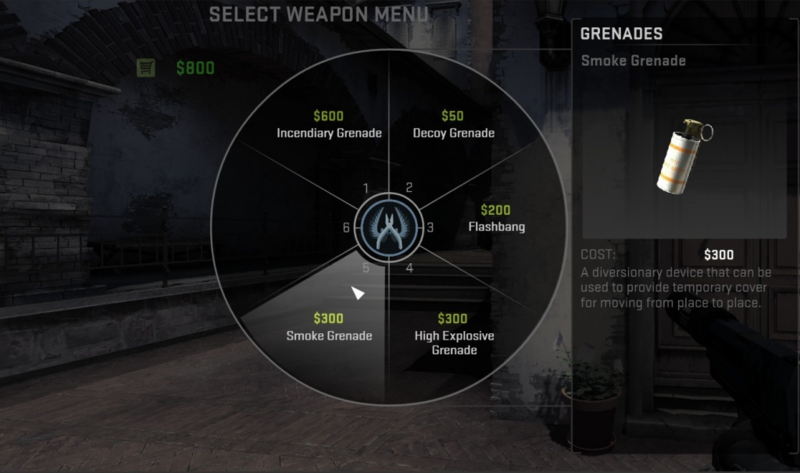 If there is enough money in your pocket, you can get AWP and set it for your team. It is good to block some map space completely. All in all, a single AWP is cool for the team, but it is better to have two of them in some situations. Here are not many things to do. First, reduce your mouse sensitivity. 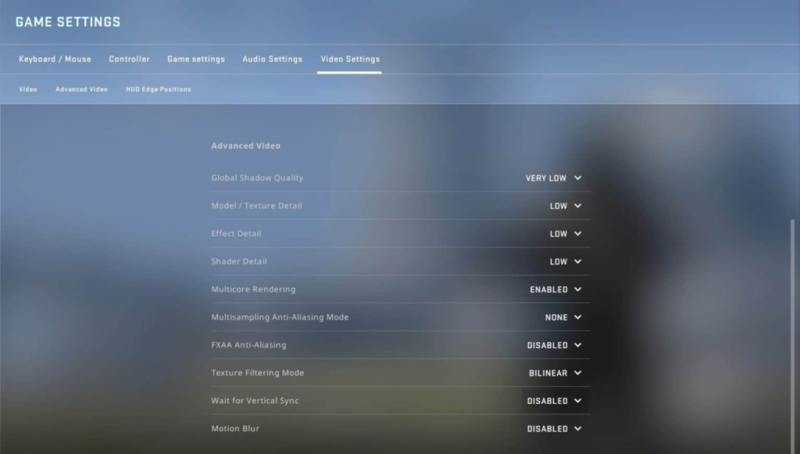 Second, you can change sight settings to make it look comfortable for you. I prefer static classic settings of any color not getting blurred with the environment. For instance, pink is a good color: it is clearly visible on any background whether it is the environment or the head of your enemy. I’m sure many people playing CS better than me can offer a lot more useful tips. Still, I think these recommendations are more than enough for beginners. Here is another advice: surf some more websites and try to find interesting things you could check in action. One additional thing that used to help me before I started playing DotA: make headshot aiming your habit. Train a lot, read our upcoming articles and try new things, and soon you’ll become a skilled esports-level CS:GO player.